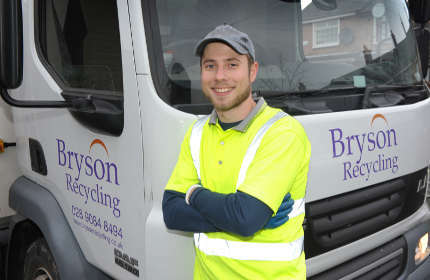 Bryson Recycling is urging householders to wash, squash and recycle their plastic bottles to help save space in their recycling boxes. We are now using more plastics than even before, with a million plastic bottles sold around the world every minute and the average family in the UK using 500 plastic bottles a year. 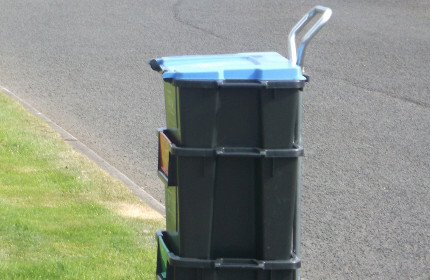 We are grateful that so much plastic is recycled through our kerbside service, but it does mean that recycling boxes fill up more quickly. 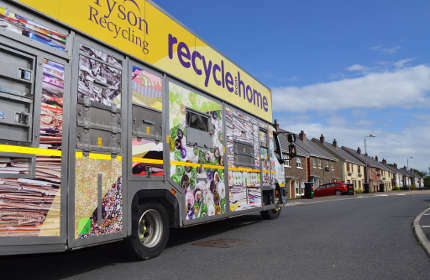 Bryson Recycling, who are part of the Bryson Charitable Group, Northern Ireland’s leading social enterprise, focus on recycling the materials they collect through their kerbside box service locally, with 80% staying in Northern Ireland to be manufactured into new materials. The plastics go to local business Cherry Pipes, who employ 65 people across three sites in Crumlin, Lurgan and Dungannon. They are used to make a high quality recycled pellet which is then used to manufacture pipes for the agricultural, civil engineering and construction industries throughout the UK and Europe.